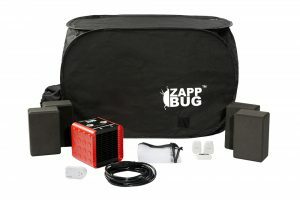 The ZappBug Oven kills 100 percent of all bed bugs in all life stages, including eggs, nymphs, and adults. It heats up contents to above 120℉, which scientific evidence shows kills all bed bugs. 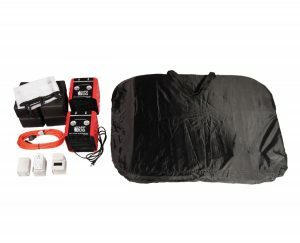 If you travel, the ZappBug Oven will prevent you from bringing bed bugs home by heat treating your luggage and killing any bed bugs that may have tagged along (it is large enough to accommodate both checked and carry-on luggage). If you’re already dealing with an infestation, it will get rid of 100 percent of bed bugs from your household belongings. You can heat treat small furniture, shoes, books, files, papers, clothes, bedding, electronics and most other household items. 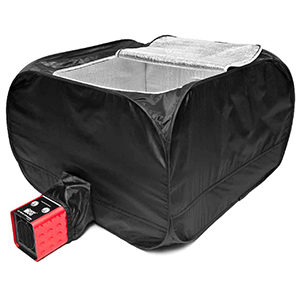 The ZappBug Oven has the largest capacity of any bed bug oven available on the market today. The large capacity lets you heat treat more items at once, thus reducing your time in getting rid of bed bugs. Plus, the large size lets you heat treat bigger items, such as pieces of furniture. The temperature range is between 120℉ and 155℉, which will kill all bed bugs, but is safe for most belongings, including electronics. The heater is designed with safety in mind and has a tip-over safety feature. Start an order below! ZappBug Ovens are extremely easy to use. Simply set up the Oven, load with items and press the “On” switch. The included timer automatically shuts off the Oven when the heat treatment cycle is done. Also included is a wireless digital thermometer to ensure that temperatures reach above 120 F (bed bugs are scientifically proven to die within one minute at 120F and above). For bed bug prevention, use the best bed bug control products available. We’re offering these ZappBug Ovens for $199 plus tax and shipping. Call 206-801-3522 or complete the form below to order yours today! Start An Order For Your ZappBug Oven With This Form! Thanks for your interest in getting a ZappBug Oven. 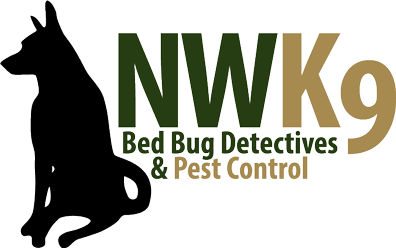 We're your one stop source for bed bug treatment, control, inspection, and extermination services. We'll be in touch soon! For Information on these & other products call us at 206-801-3522 or complete the form above!